Jeff came to Agility Press 3 years ago and his current title is Direct Mail Supervisor / HIPAA Compliance Officer. Jeff was born and raised in Indianapolis IN and moved to Jacksonville in 2003 where he married his wife of 14 years. Jeff brings a wealth of printing and mailing industry experience that spans over 40 years. He learned the trade from the ground up, starting off baling waste paper in a large printing company in Indianapolis and gradually gained years of experience in a conventional prepress department as an offset stripper and platemaker which later transitioned into digital prepress. He spent several years working as a hands on digital / conventional prepress manager and scanner operator. 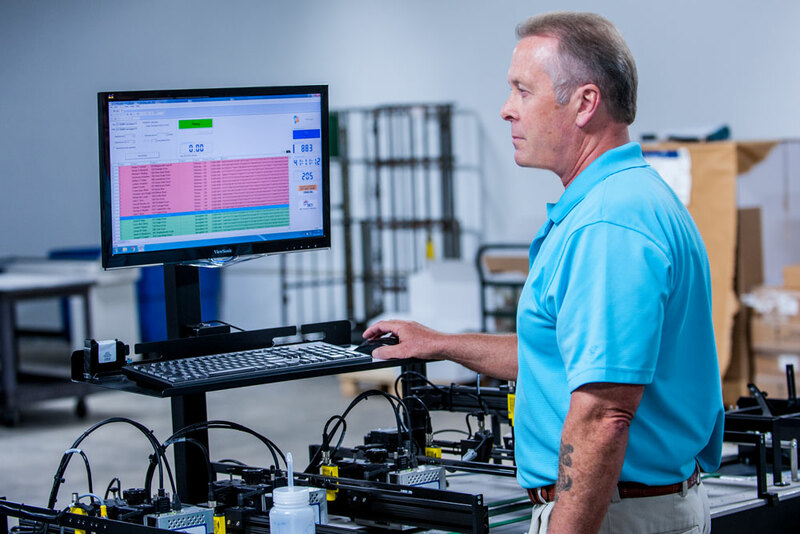 Jeff had an opportunity to work as the Scitex System Supervisor for one of Indy’s top prepress houses during the 90’s where he also gained experience in Sales and served for a time as the Customer Service Manager. In 2000 Jeff earned two certifications for network administration (Windows & Netware) which have been very useful in rounding out his career in the industry. In 2003, when he came to Jacksonville, he was employed by one of Jacksonville’s leading direct marketing and mailing firms where he acquired his direct mail skills. Jeff has been working in digital prepress and direct mail for over 14 years since his arrival in Jacksonville and has always prided himself as being a hands on supervisor that enjoys doing the work as much as managing the workflow. From 2010 thru 2014 Jeff was trained in Lean Six Sigma production control in which the goal is to lessen the chance of a production mistake through a process of specific management tools. As the HIPAA Privacy Officer, Jeff has the responsibility of training and implementing the required physical, administrative, and technological safeguards that allowed Agility Press Inc. to become HIPAA compliant, creating new opportunities in the marketplace, at the same time assuring customer privacy. Jeff currently operates 3 MCS Ink jet systems complete with 2 inline tabbers, and 2 Pitney Bowes Flowmaster RS inserters. He is responsible for presorting all client mail lists and arranging mail drops and deliveries of mail across the nation and the globe.